KSRealityBites: HIV+ after blood transfusion! In a shocking development, which caused huge uproar across Gujarat & India, 23 children suffering from thalassemia, turned HIV positive after blood transfusions. The incident occurred at the Government Hospital in Junagadh in Gujarat. 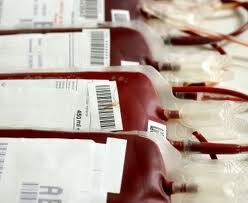 The angry parents 've accused the hospital authorities for giving HIV positive blood to their children. Since January 2011, o'er 100 thalassemic children below the age of ten went through blood transfusions at the Government Hospital in Junagadh. However, the matter came into light now, when the parents alleged that their children 've turned HIV+. The hospital authorities 've dened the allegations, saying the children got infected from other sources. They claimed that the children had HIV before they arrived at the hospital for blood transfusion. Well, both the hospital authorities & the parents of the respective children are blaming each other. The matter still in dilemma whether may be from other sources or via hospital authorities. I suggest to all the readers to take very good care of your children whenever there is a matter of check ups may be blood test or some other general tests. As far as health check ups are concerned make sure you always do consult to the most trusted hospital rather then just rushing to some unknown authorities. Stay Healthy, Stay Safe!